Hey guys! So I've been with Influenster for some time now and I finally decided to do an unboxing post about one of the boxes I've received. Basically, Influenster is this community specifically for people engaged in social media that gives out free samples of new products to try out, review, and share to their followers on Twitter, Facebook, Pinterest, Insta, etc. The most recent box I've gotten was the Refresh VoxBox, which had food, beauty, and health products. 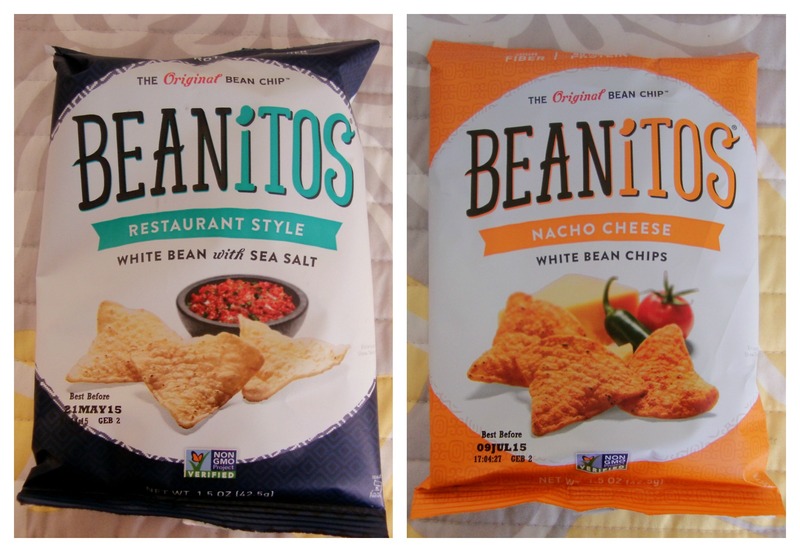 I received 2 bags of Beanitos chips. RESTAURANT STYLE: Immediately when you open the bag, the chips look a lot heavier in taste than they actually are (it's not as greasy as it looks). If I had not been told that these chips were corn-free, gluten free, cholesterol free, and vegan, I still would have noticed that something was a little... off. At some point it gets kind of grainy, but I'm sure doused in salsa no one would have even given it a second though. DO NOT get these mixed up with quality Tortilla chips - I can eat those plain, these I would prefer not to. NACHO CHEESE: It doesn't have an overwhelming smell of cheese flavor - or any flavor for that matter. They essentially taste the same as Restaurant Style, but with a very light cheese flavoring that has a little kick. 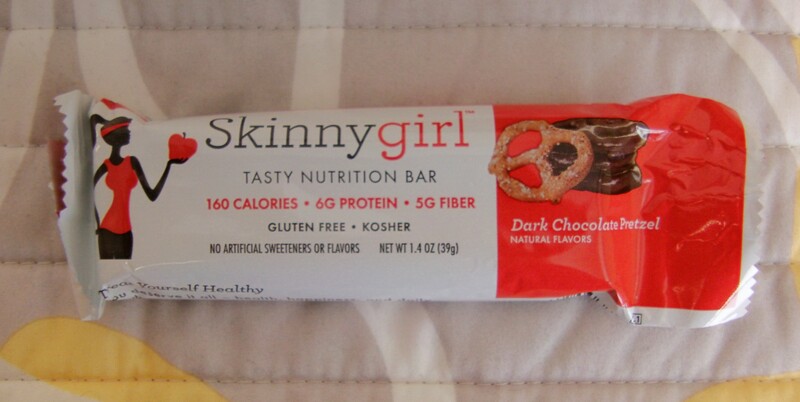 Next up is the Skinnygirl Tasty Nutrition Bar in Dark Chocolate Pretzel. It is really, really tasty, which is surprising – had I been shopping I would have skipped over it besides its cool packaging because I would have assumed it was expensive (which it isn't at 5 for $5) and tasted awful as most expensive looking healthy things are. This is one of the better, if not best, healthy snack bar with chocolate I’ve tried. I think what sets me off is the almonds all throughout the bar and the crunchy parts with the pretzel. Overall a great product that is fairly cheap for its quality. I highly recommend. After I'm done with all of this food I need to floss! Here are 2 samples: DenTek Comfort Clean Floss Picks and the DenTek Fun Flossers for kids. The floss has a slight mint flavor and the handle makes it easier and faster to floss. I definitely recommend this because the full size product is as cheap as $1.39 and its good to have on hand when you are out to lunch or dinner and need to clear your teeth on the go. For fresh breath on the go, you can always use the trusty Listerine Pocketpaks Breath Strips that have literally been around since forever (only $1.40). After deep cleansing my face, I'm going to want to moisturize. I'll be doing this with L'Occitane Shea Butter Light Comforting Cream ($5 for 8ml | $28 for 50ml). This cream definitely fulfills its task of making my skin feel soft, supple, and comfortable all day. I was surprised at how well this actually worked. The best part is that the company is committed to a fair trade partnership with West African women and its ingredient shea butter contributes to the empowerment of over 15,000 women. I get to use a quality product and support a cause, as well. The last beauty product I sampled was the COVERGIRL UltraSmooth Foundation ($12.99 - 16.99) and I really do not recommend this product. First of all, the darkest shade was "Classic Tan"... Let's sit on that for a minute... Second of all, it did the exact opposite of what its convincing description stated it would. Because the color was so light, it basically washed out my skin making my fine hair stand out even more. Using it in other areas like the peach fuzz above the lip, made my lips look crusty. Also, in some places like between my eyebrows the "innovative" applicator did nothing but make my skin flake. I absolutely do not recommend. The very last things that were in the box were a L'Occitane card that was for V-Day, a Beanitos coupon, and a coupon packet for Orgain Certified Organic Nutritional Shakes. I've been unsure about whether I am going to actually buy the nutritional shakes because I'm not sure about how great they taste. If you've had any before please comment telling me whether I should in the drinks or not. Thank you so much! Sorry this was so long, but I wanted to be as thorough as possible. I will be doing more of these so stay on the look out!